Miracle on 34th Street is my favorite movie, ever! I watch it at least one time during the holiday season, and cry (every time), as if I’m seeing it for the very first time. My husband watches it with me, he knows exactly when I’m going to tear up, he hands me the Kleenex box, and sits back with a smile as he watches how this movie touches my heart and soul. The reason this movie is so special to me is because, little Susan eventually starts to believe that miracles can happen, and when she does, you sense that child-like faith we all had at one time. My heartfelt desire for the world, is for everyone to get back to living with a child-like faith and just believe. This is the place where life truly does become simple. It’s always been simple, we are the ones who have complicated it. When little Susan started to doubt whether or not she would receive the gift she had asked for, she said over and over, “I believe, I believe, I believe.” This is the perfect example of child-like faith. 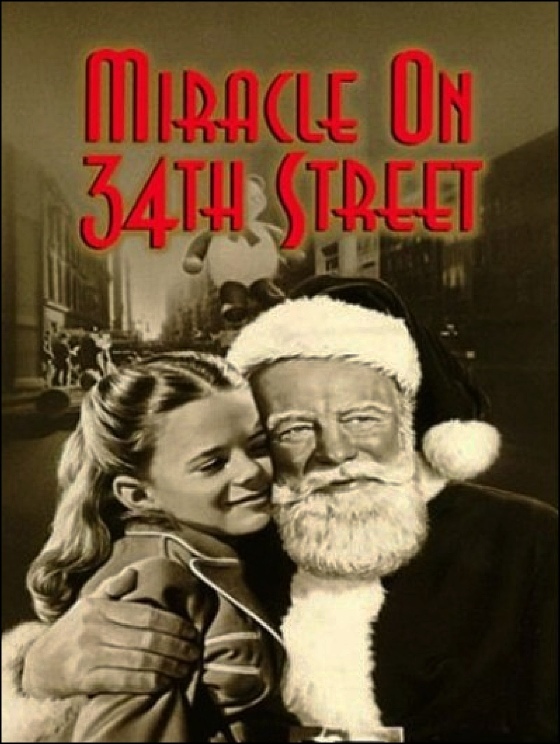 Miracle on 34th Street is a movie filled with hope, joy, and love. If you aren’t living each day with a child-like faith, may you find your way back to this special place, as this is the best gift you can give to yourself. This entry was posted in Home and tagged child-like faith, encouraging, fulfillment, happiness, inner peace, inspiration, intention, joy, love, Miracle of 34th Street, peace, personal growth, spirituality, thoughts, uplifting. Bookmark the permalink.